Captivated. That was how I felt when I first stepped into OSO Ristorante. 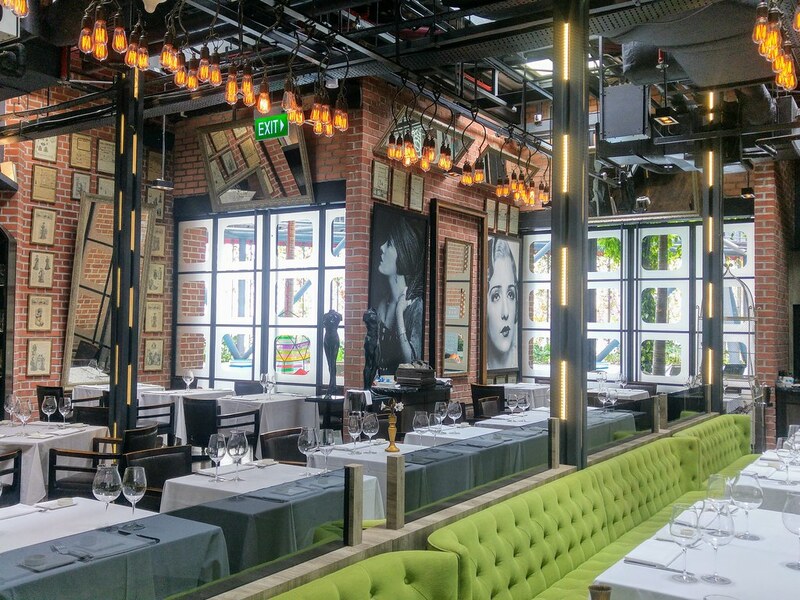 Though it is located on the 27th floor of Oasia Hotel Downtown, I felt like I have entered an underground chamber - the exposed brick walls and ceiling, illuminated by industrial style lighting fixtures. There's something evocative about the space, perhaps of the opulent chandeliers, the enigmatic vintage mirrors and larger than life portraits. Newly opened, it was already half filled by lunch hour. 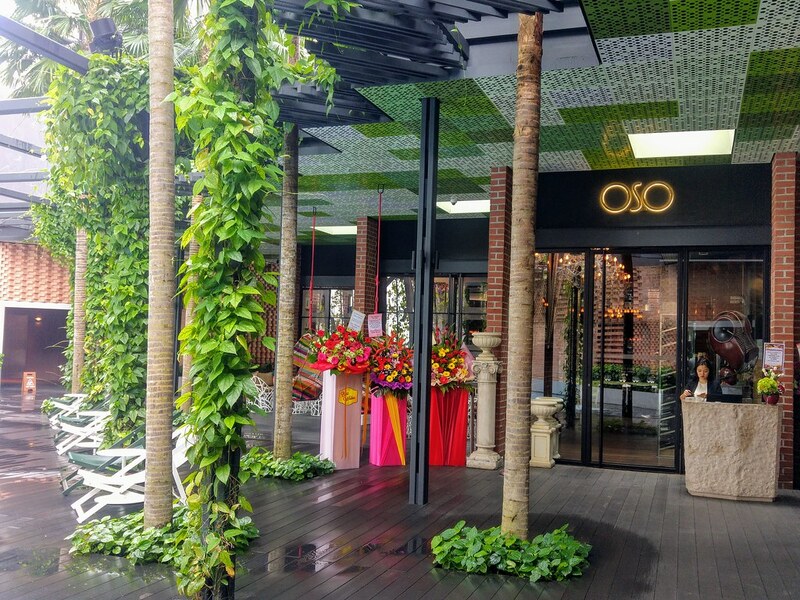 Opened in 2004, the restaurant has been in a couple of places before shifting to Oasia Hotel Downtown. 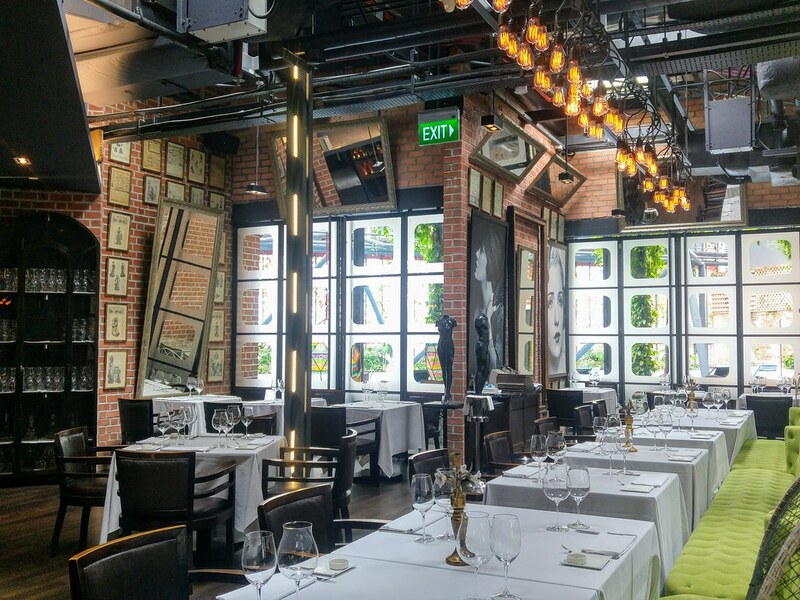 OSO has its strong pool of regulars who adore the dishes crafted by award-winning Italian chef Diego Chiarini, with overall dining experience completed by Stephane Colleoni and his team. We started off with some warm fluffy Onion Bread and Crispy Bread Sticks. 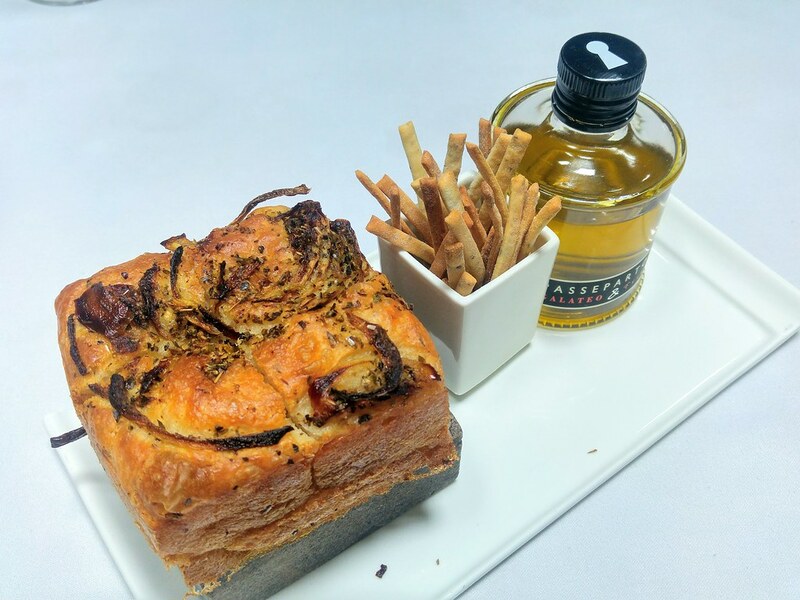 The Olive oil provided for dipping is full bodied and smooth, citrusy and sunny with hint of Mandarin Orange. I actually had a few rounds of that. For appetiser, we had Timballo ($22) which I thought is a rather poignant dish. Over in countryside where where stale bread is commonly used, ours is a baked sponge bread akin to a savoury sticky pudding and embedded within this little drum is Toma. Toma actually means cheese made by the farmer himself! 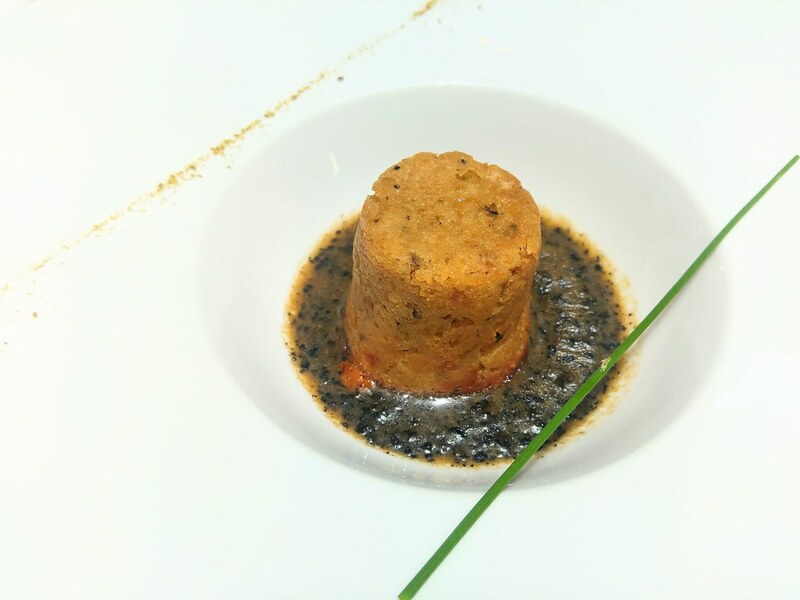 Flavoured with the strength from Toma and luxuriance from the truffle, taste elevated but essence of the dish kept. For Risotto and Pasta, we had Nero ($28) and Capelli D'angelo ($24). 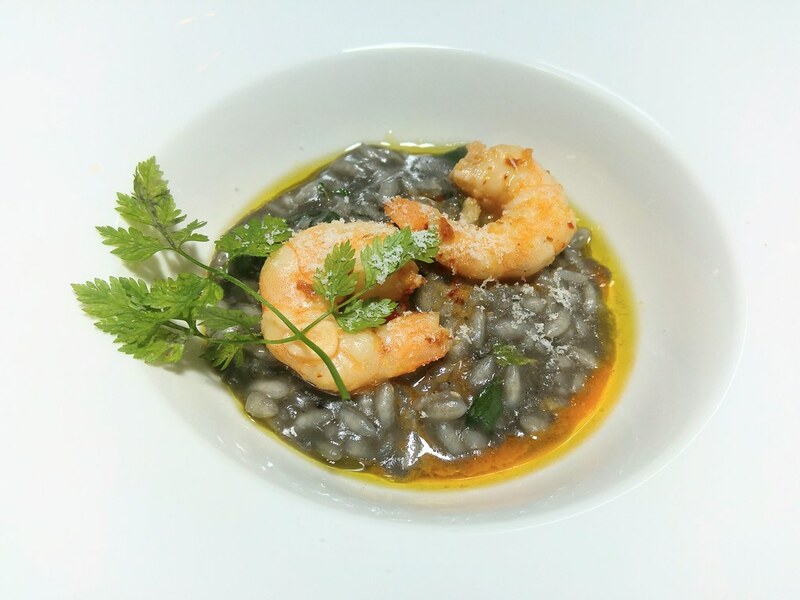 The squid ink risotto though blackish, is exuberant with colours and flavours lent from the prawns and marjoram. Every grain is left firm and neatly separated from one another with a chewy bite. Many may leave the marjoram out but that gives the dish an uplifting fresh herbaceous taste and scent. I enjoyed the Capellini just as much. The texture of the pasta is possibly one of the finest I ever had. 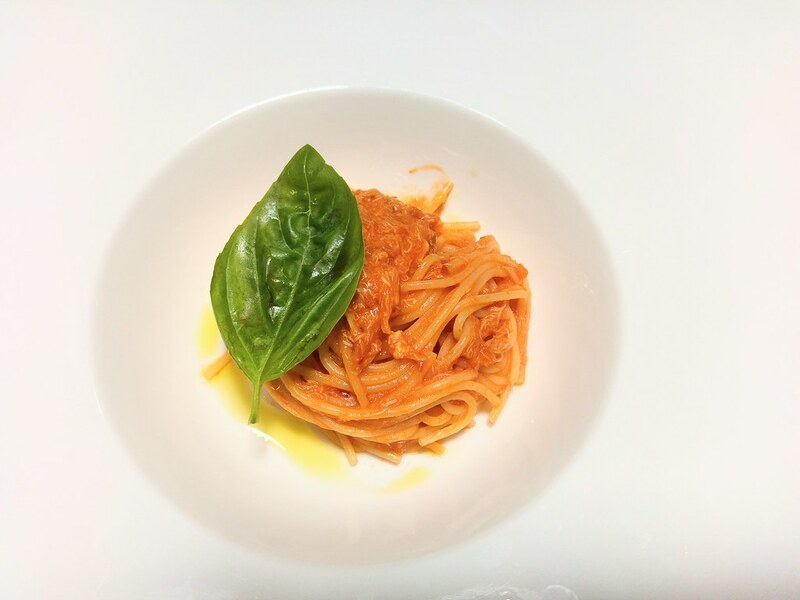 The shredded crab meat was soft with sweetness elevated by the tomato. For Fish, we had Acqua Pazza ($32). 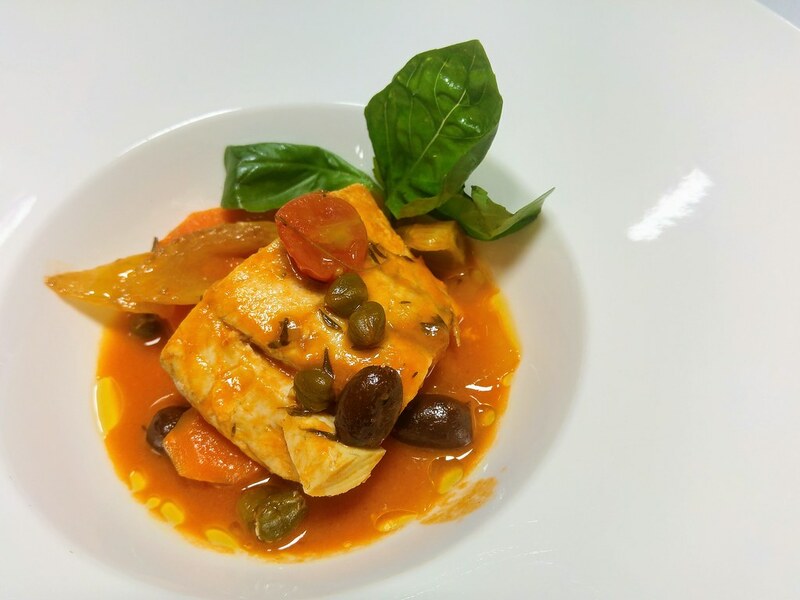 Acqua pazza literally means crazy water in Italian. It is an Italian way for poached white fish which usually means poaching it in lightly herbed broth. The dish is known to originate from fishermen of the Neapolitan area, who would sauteed their fish in seawater together with tomatoes and extra virgin olive oil. 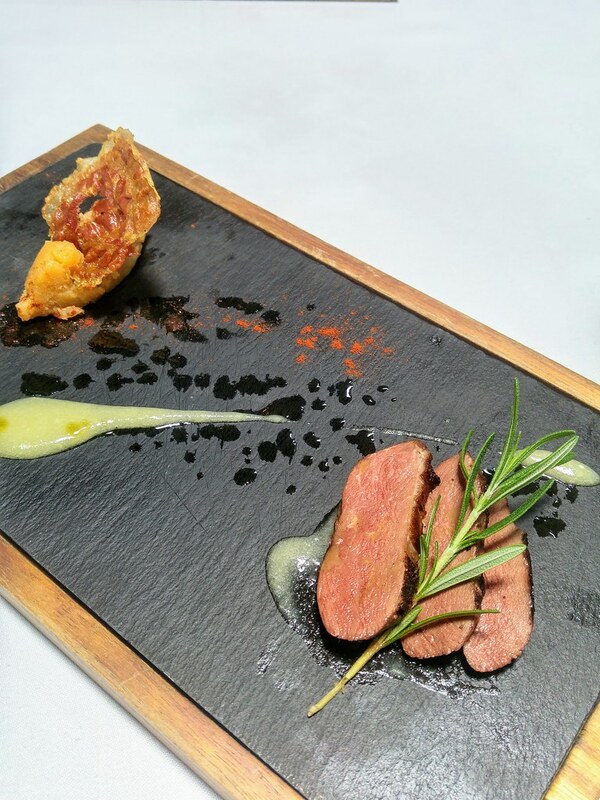 The kitchen has done a great interpretation of the dish. The seabass was tender and moist, with a dash of good olive oil to lift its taste. For Meat, we had Anatra ($48). Elegantly plated alongside with mashed sweet potatoes, the duck breast is roasted with Oakwood and flavoured with just a drizzle of Whisky. It was however a bit too gamey for me. Simplicity seems to be the common thread that strings the dishes together. 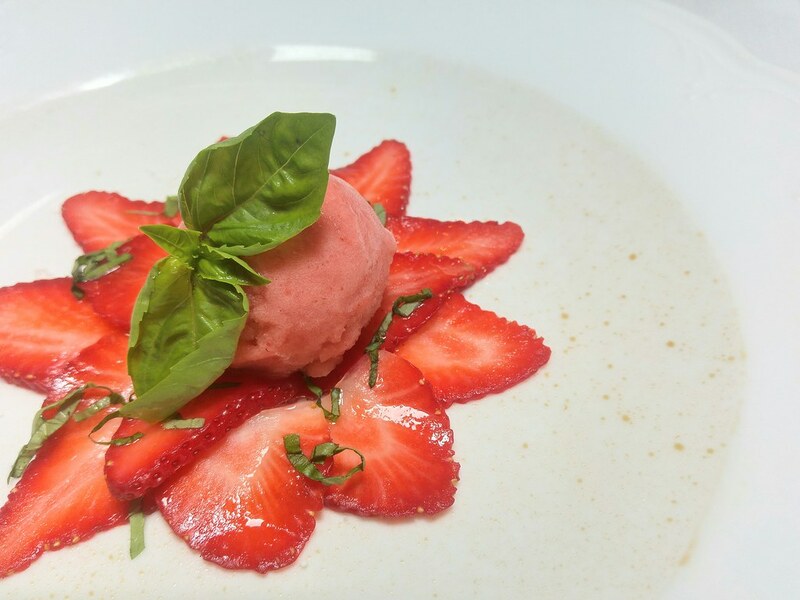 Dolci ($14) is a dessert created with just one single key ingredient - strawberry. We have freshly sliced strawberry beautifully lined up like flower petals, crowned with a scoop of strawberry sherbet and drizzled with balsamic. The dessert is bot refreshing to the eyes and palate. 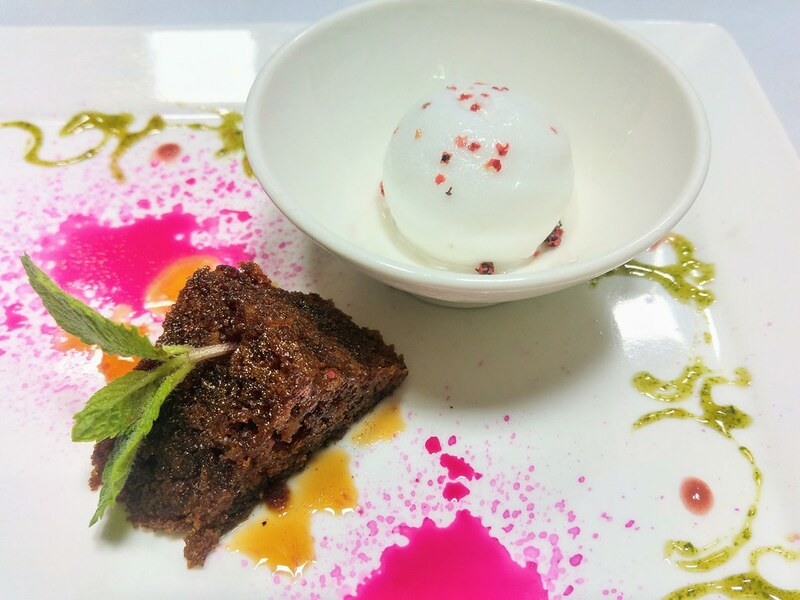 Showcasing OSO's honey which can be admired from the shelf at the entrance, is the OSO's Honey & Beetroot Cake ($14). It has a deep, mellow sweetness, somewhat like black sugar. OSO's coconut sherbet is kind of sweet but punchy with spiciness from the pink peppercorn.